Speed vs. timing. Precision vs. power. Form vs. function. Think you need to settle? Think again. 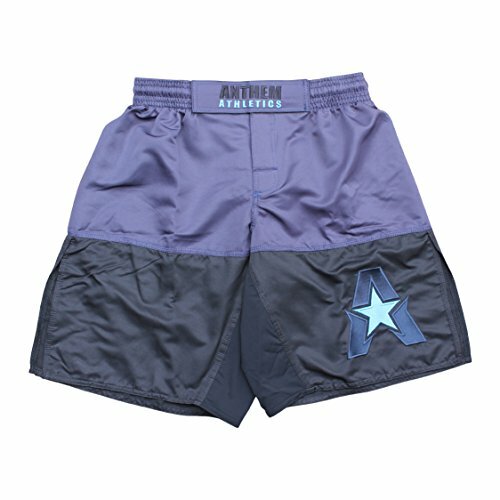 The 50/50 MMA Shorts from Anthem Athletics bring an unrivaled combination of style, quality, performance and value. Unrestricted movement. Fully machine washable. Original, signature styling. We create high-performance athletic apparel and equipment for combat sports and functional fitness including MMA, BJJ, Muay Thai, Boxing, Kickboxing, Jiu Jitsu, Submission Grappling, Pankration, Krav Maga, WOD and CrossFit training. Our products are designed, developed and tested for the highest level of athletic competition. If you have any questions regarding any of our products (e.g. sizing, fit, style, etc. ), please email or message us. Because we don't pay for celebrity endorsements, we are able to create and sell ultra-high quality performance apparel and equipment at a price 25 - 50% lower than other high-quality brands. We focus on and pay for what performs; it's that simple. We believe we have created some of the top performing combat sports performance gear on the market today. We stand by our products 100%. If you are not satisfied for your purchase for any reason, we offer a 30 day, money-back guarantee. New launch special! New release for 2018. Significantly discounted, launch pricing for a limited time - exclusively on Amazon. Want the right fit? Follow our product specific sizing chart (last product image) for sizing and fit guidance. If you have any questions about this product by Anthem Athletics, contact us by completing and submitting the form below. If you are looking for a specif part number, please include it with your message.